”The new playground is designed as a miniature Uppsala,” says Daniel Kvant-Suber, business developer, Atrium Ljungberg. In late May, Atrium Ljungberg inaugurates the new square in the northern part of the regional centre Gränby in Uppsala with a spectacular playground and several restaurants and outdoor cafes. 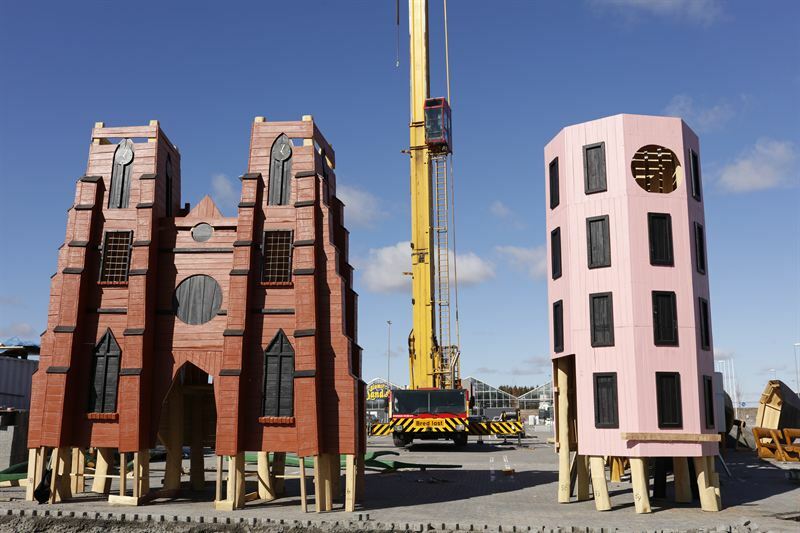 The playground will have a special design; an Uppsala in miniature. “All famous landmarks as the castle, cathedral, Uppland Museum, Old Uppsala mounds, Fyrisån and the swan pond will be in the play-friendly size. The highest point will be the Uppsala Cathedral with a height of eleven meters. We wanted to create a city that is growing, as well as Uppsala and Gränby city is growing, says Daniel Kvant-Suber. The company’s vision for Gränby city is creating Uppsala’s second city center of trade, culture, restaurants, homes and workplaces in a dense block structure. In connection with the opening of the playground and the square will also three new restaurants and stores ÖoB and Arken Zoo.